Ready for your children to make some long lasting memories? Or maybe just get off the couch for a day? Look no further. Here are some exciting and fun-filled activities that are sure to make for happy kids and adults alike! 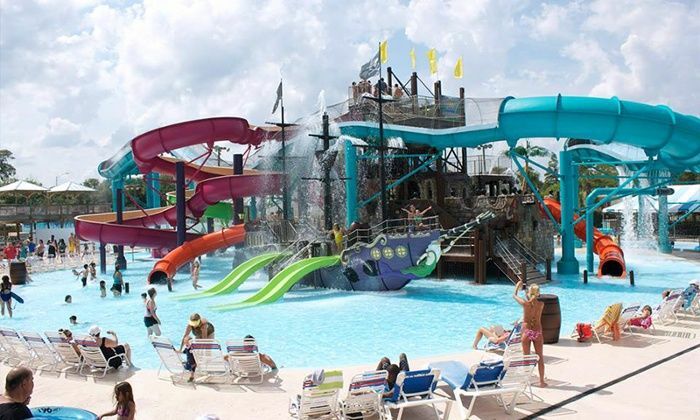 If your children love days spent running from slide to slide or pool to pool, check out the Shipwreck Island Waterpark. For just $99 a season, you’ll have access to all the fun and excitement that the waterpark has to offer. New attractions, safe atmosphere, and convenient location make this attraction a must-go for your family. Do you have an animal lover in your family? At the Jacksonville Zoo, anyone can be thrilled by exploring all of the unique animals and interactive exhibits. Some highlights of the zoo include Stingray Bay, Land of the Tiger, and Australian Adventure. By visiting these and many more exhibits, your family is sure to have a great day. With a rate of only $11.95 for a child between the ages of 3-12 and free for those under three, you get a great value with this activity! Want to have a more private day with a larger group? Consider one of the many inflatable options provided by Space Walk of Jacksonville! This inflatable rental company can deliver you a bounce house to a local park or your yard (space permitting). It’s the perfect idea for a birthday party, family reunion, or any event that you want your guests to love. Space Walk ensures the cleanliness and quality of all of their products, while providing industry-leading insurance and licensing. Make your next event an especially memorable one. Another great family fun idea is a trip to the Batt Family Fun Center. Your family can play a game of cosmic bowling, 18 holes of Krazie glow golf, play tons of arcade games, and more! Check out their website for the best deals that will be sure to make a great time for your family. Take advantage of Jacksonville’s beauty! Take a trip to the Jacksonville Beach. This picturesque area has something for everyone. 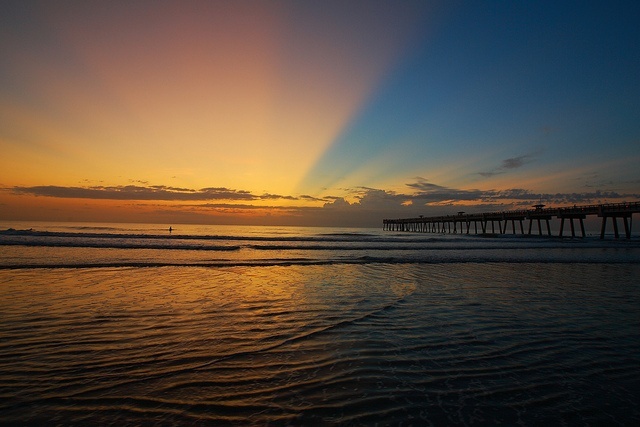 Most notably, the Jacksonville Beach Pier! For just $1, you and your family can walk a quarter mile out over the ocean. Watch surfers and fishermen up close and in action.